In 2012, Matt Salzberg, Ilia Papas, and Matt Wadiak founded Blue Apron, a cost-effective way for people to easily prepare meals without needing to scour the aisles of their supermarket looking for every single ingredient in a complex recipe. 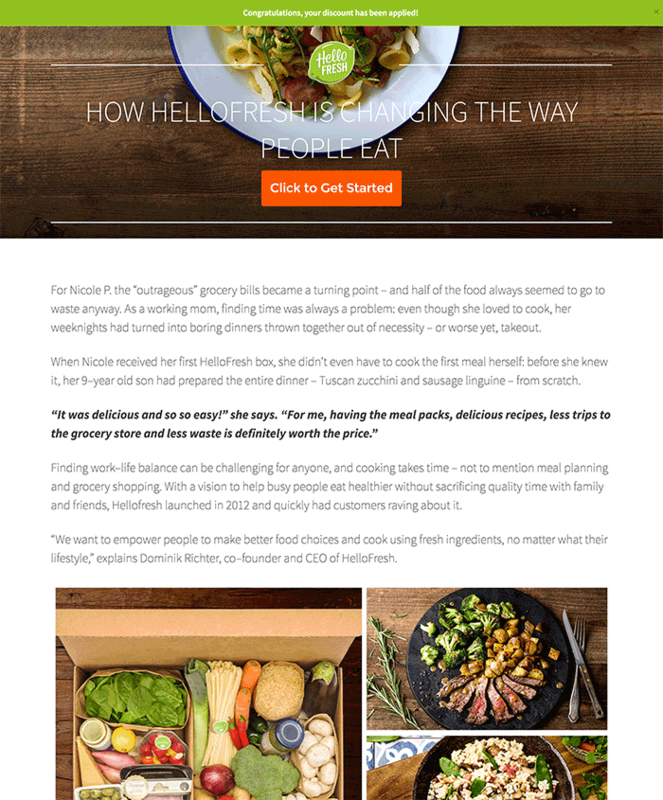 They began beta testing the product by sending their pre-assembled meal kits to friends. Blue Apron ships an estimated 8 million meal kits a month. It has also raised over $193.8M in venture capital and is currently valued at over $2B dollars. Now, Blue Apron might be one of the most successful meal kit services, but they certainly aren’t alone. There are many other players in the meal-kit delivery game. They spend millions on display advertising to promote their services. 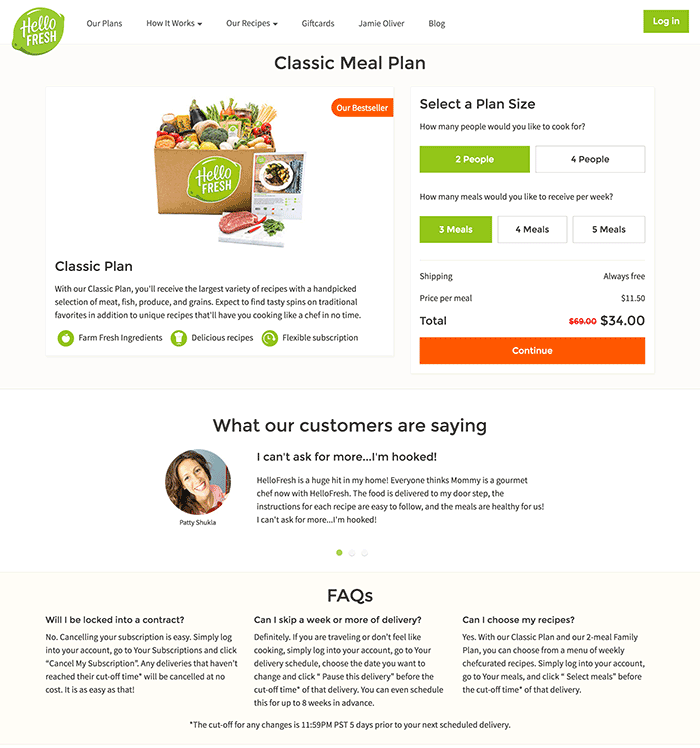 In today’s blog post, you’re going to see the display strategies for four of the largest meal delivery services. Blue Apron has spent an estimated $464,192 on desktop and an estimated $629,632 on mobile (tablets & phones) ads over the past six months. Blue Apron allocates the majority of its desktop spend to Taboola and the majority of its mobile spend to the Google Display Network. As we’ve written before, bold and bright colors work really well in ad creatives. Most of the meal kit advertisers understand and take advantage of this concept. Does the ad headline ring a bell? The headline is a toned down version of the “you won’t believe what happened next” style of ads that were popular on Facebook a few years ago. “Clickbait” headlines work really well on native ads. 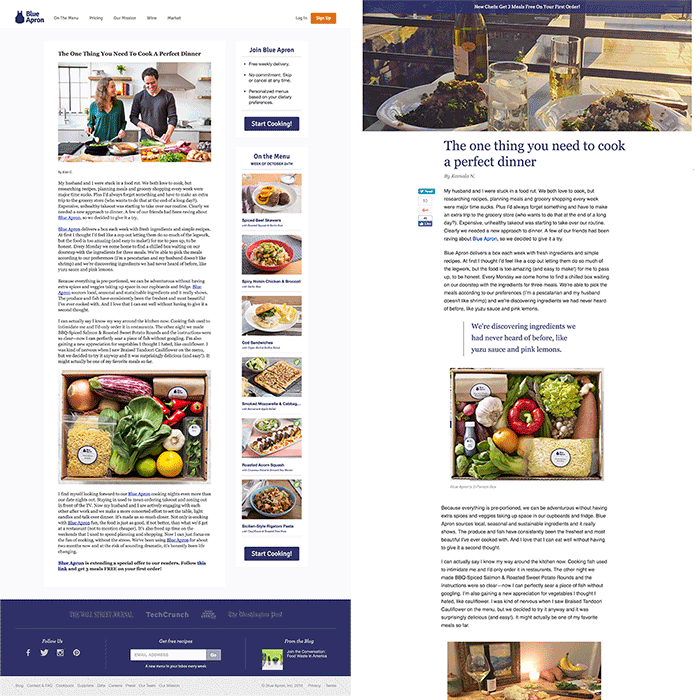 Blue Apron is split testing a variety of different advertorials on native. Not only are they testing copy, but they are testing different landing page designs with the same copy. The other advertisers featured in this post also use the “save money” angle. 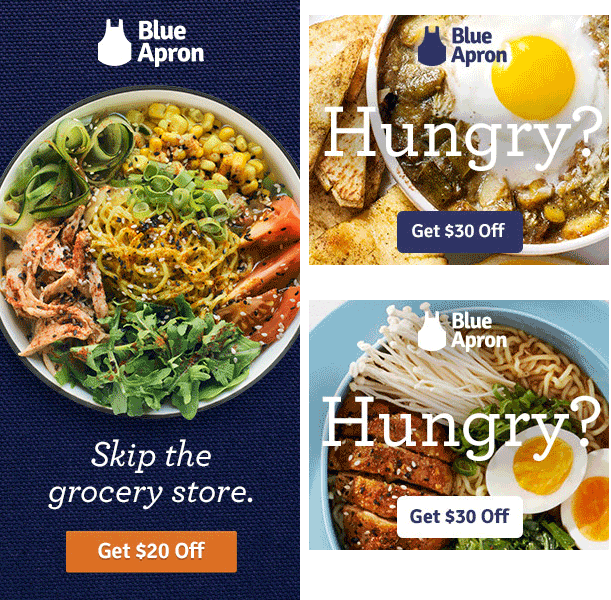 You’ll probably see Blue Apron ramping up their spend for these campaigns in the near future. 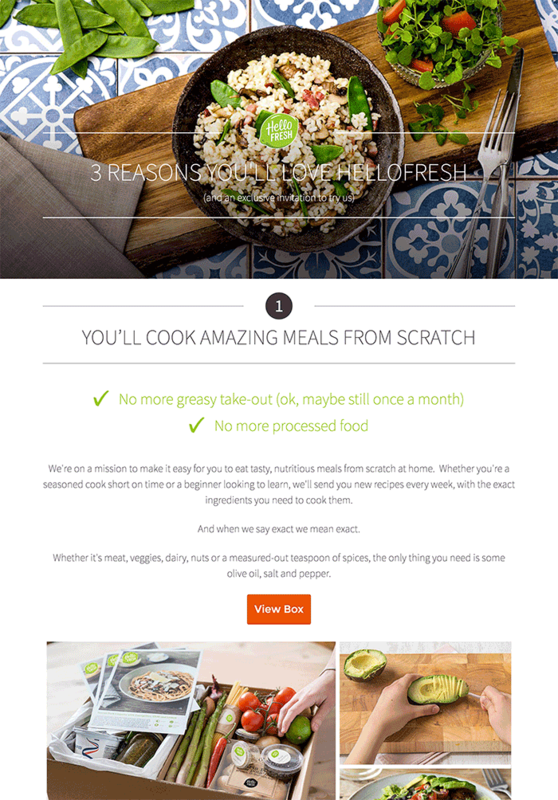 HelloFresh was founded in December 2011 by Thomas Griesel, Dominik Richter and Jessica Nilsson. It has raised an estimated $275.5M in venture capital. 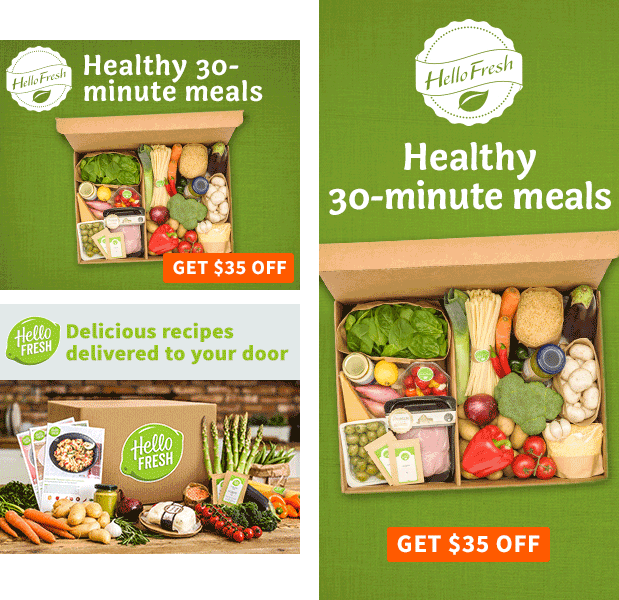 HelloFresh’s standard display ads show boxes with a bunch of ingredients. Many of these other advertisers in this post use this type of imagery as well. It also uses a “Get $35 Off” coupon pitch as a call-to-action. The headline “changing the way people cook at home” is also similar to headlines that have been used by other native advertisers like Harry’s. You can think of this page as a “product page.” This is the type of landing page that many eCommerce advertisers send traffic to. 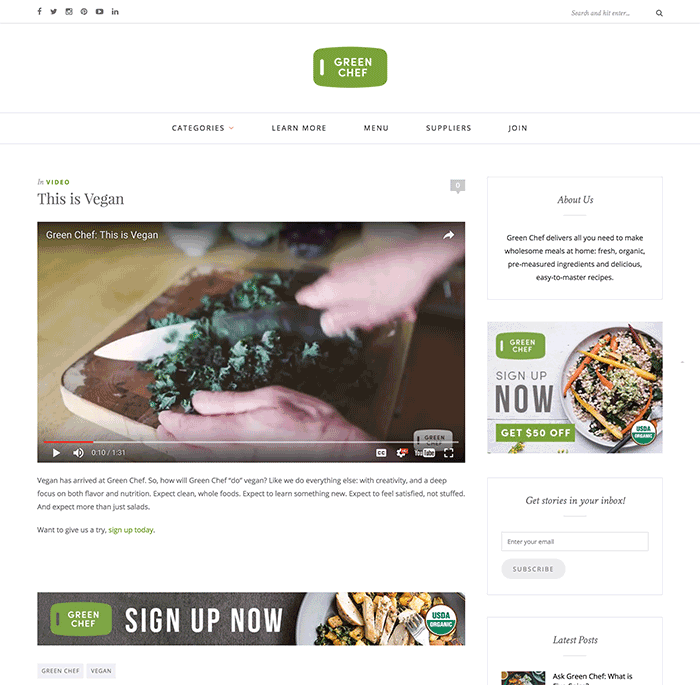 HelloFresh uses mostly native advertorial/blogvertorial style articles for their Taboola campaigns. The first native landing page is a mini-story about a working mother named Nicole who was having issues paying her grocery bills. 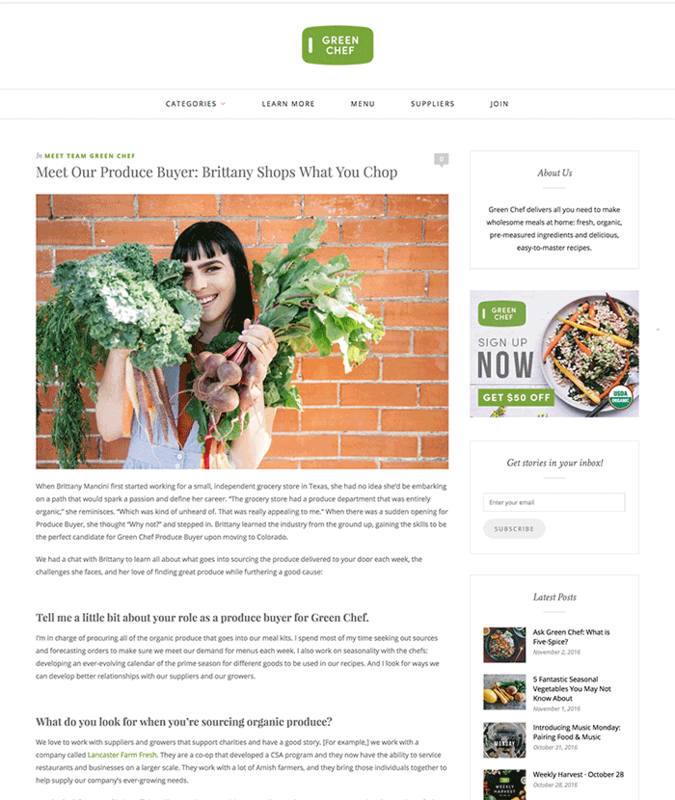 The article goes on to explain how HelloFresh made her life easier and made shopping for her family more affordable. 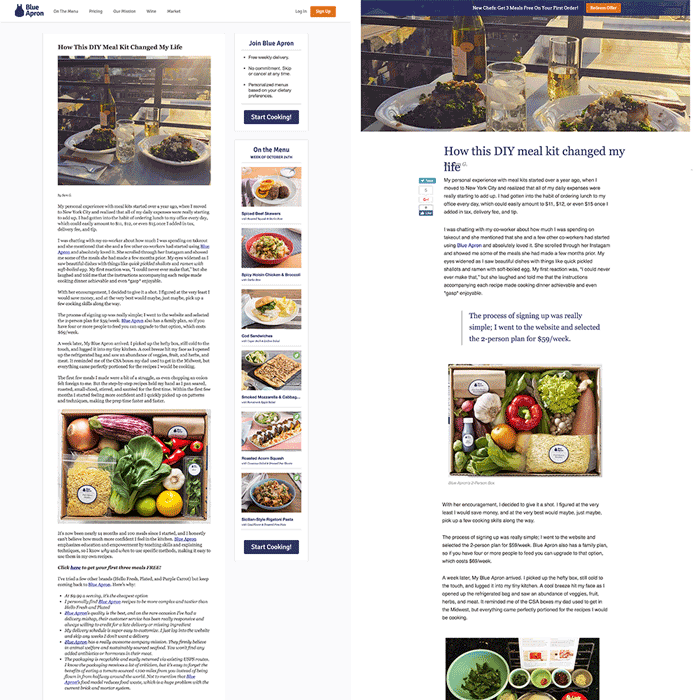 HelloFresh not only does a great job testing out different pages depending on the ad network (standard vs. native), it also does a great job testing different angles in its native campaigns. Home Chef was founded in 2013 by Bryon Finke and Pat Vihtelic. It has raised an estimated $57M in venture capital. 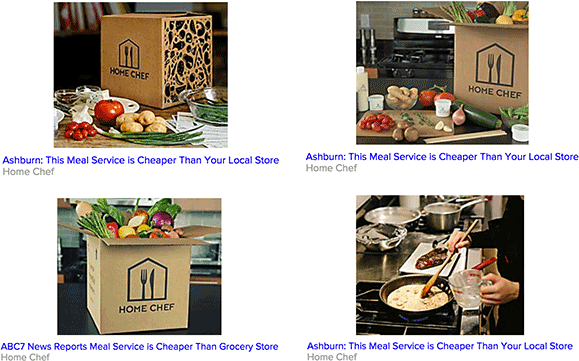 Home Chef also uses a box with food imagery in its native ads. It also uses geo-targeted ad copy to call out to the specific areas. This is a strategy that we’ve seen other advertisers use in the credit card and finance space. 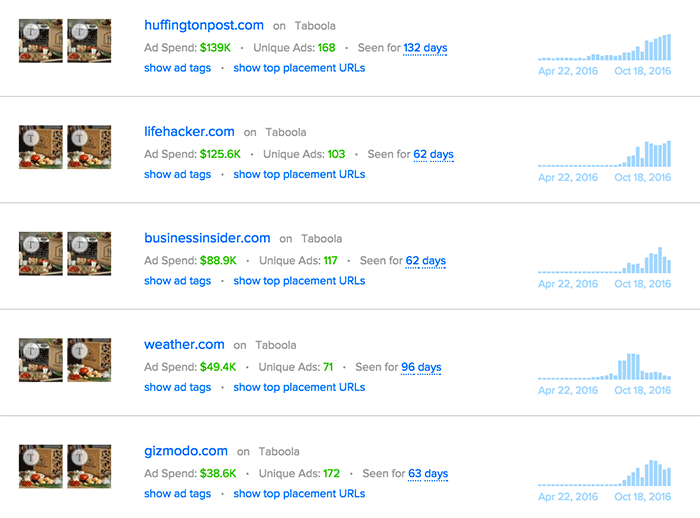 You should be testing geo-targeted ad copy in your ads, as well. 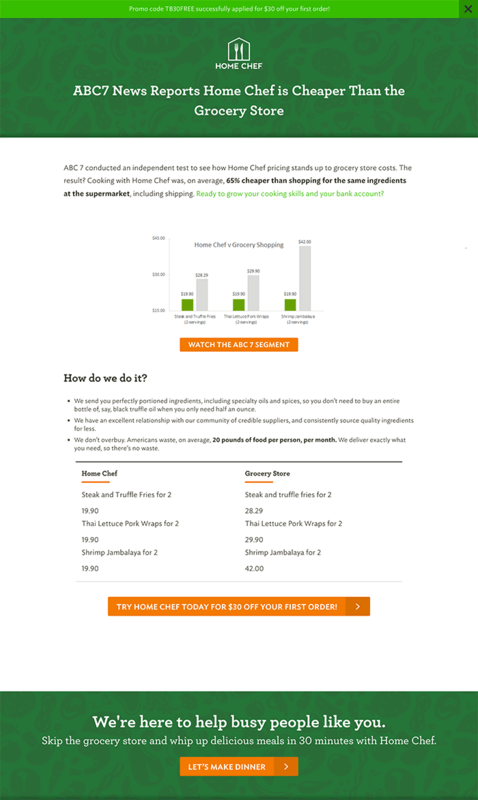 Home Chef uses a landing page that gives a three-point summary of how the service works. This list up is followed up with a call-to-action to get started. It’s fairly simple. Many people trust and even feel a bond with their local news anchors. Therefore a local news celebrity reviewing Home Chef and proving that it can be cheaper than your grocery store is 10x more powerful than Home Chef making the claim. 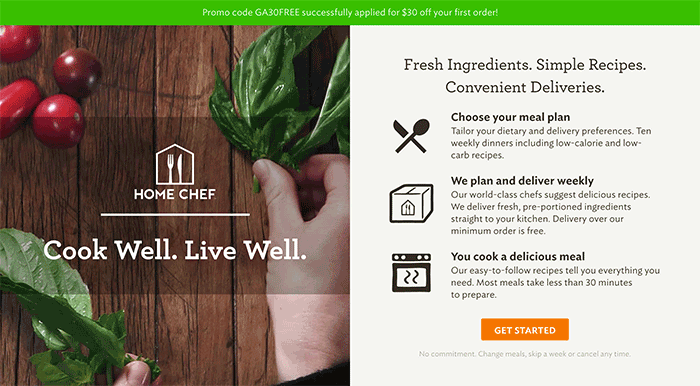 GreenChef was founded in 2014 by Ling Xiao, Michael Joseph, and Dan Yue. It has raised an estimated $15.5M in venture capital. 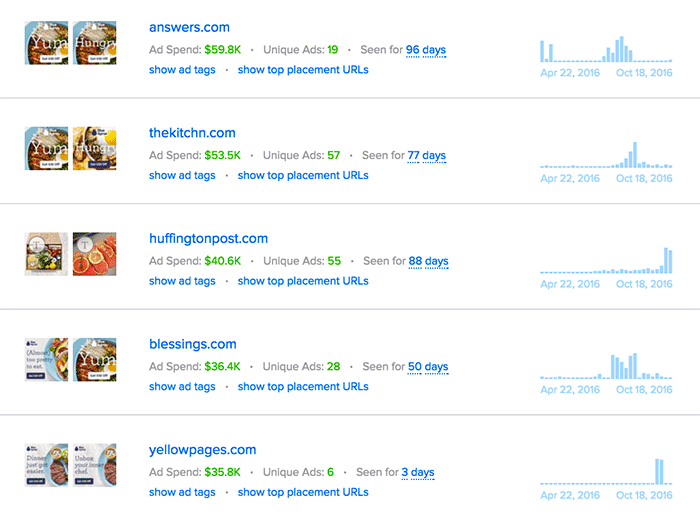 GreenChef is a bit different than the other advertisers in this post. 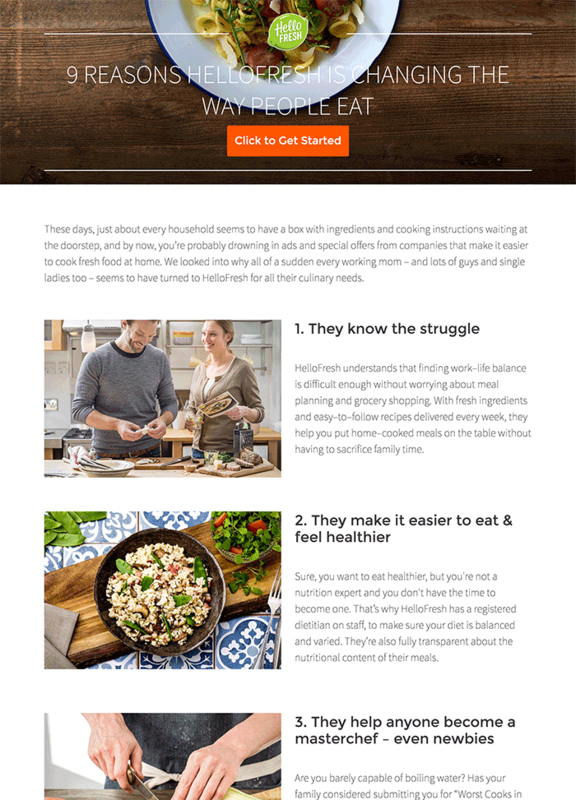 Its marketing strategy focuses on the fact that all ingredients in its meal kits are organic. 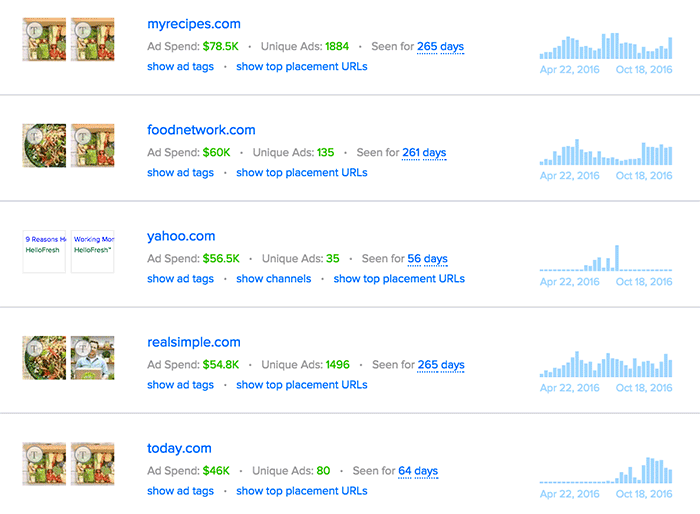 GreenChef has spent an estimated $32,792 on desktop advertising and $23,668 on mobile advertising. The majority of its ad spend is allocated to Lockerdome (native) and Google. 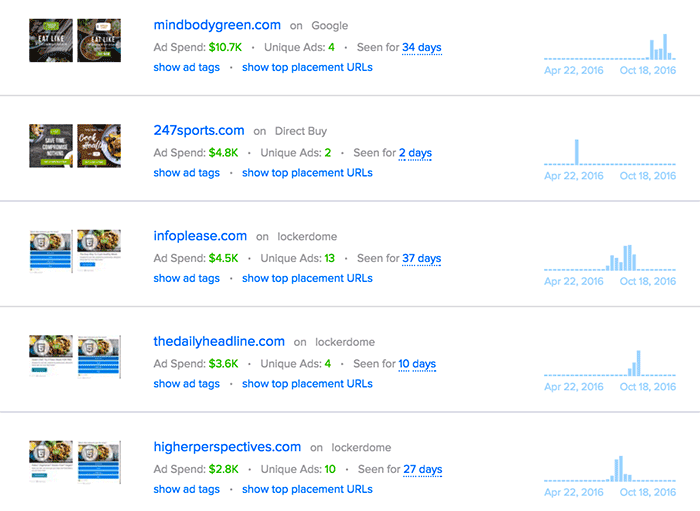 GreenChef spends the most on Mindbodygreen.com, a health and wellness blog. It has also bought inventory directly from 247sports.com, a professional sports news website. It’s tough to tell if that angle is working for them on display. The ad doesn’t say much about the service works, but rather tells people to stop eating like children. One very interesting aspect is its use of logos in ads, specifically the “USDA Organic” logo. This provides authority. 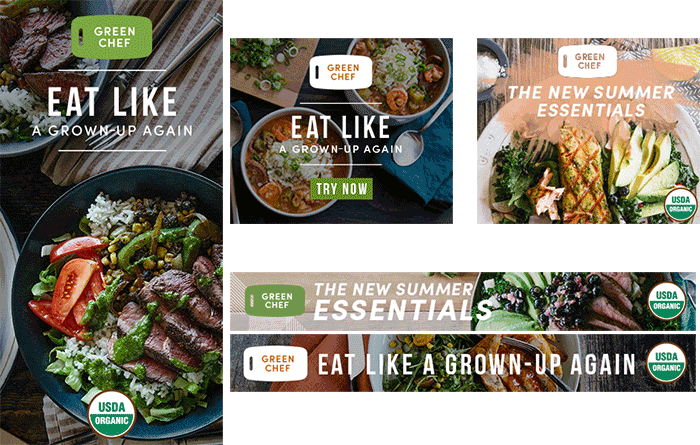 GreenChef has just launched a few new campaigns on native that drive traffic to two blog post (“blogvertorial”) style ads. The food and meal kit delivery industry has definitely been booming as of late. It seems like most of the larger advertisers have been- and will continue to use – display advertising as one of their main marketing channels. The one thing that you should take away from this post is that native advertising can work for almost any business, even if it seems like yours isn’t related to many of the advertisers that pop-up in typical native feeds. Give it a shot, and use the advertisers we talked about today as inspiration. Hi. Great article on the 3 notable meal kit delivery companies. I work for a data company and had a few questions if you don’t mind getting back to me. Was wondering when this article was published? And for Home Chef when it discusses total digital ad dollars spent if that is “in a last 6 months” frame like Hello Fresh and Blue Apron or since inception (2013)? 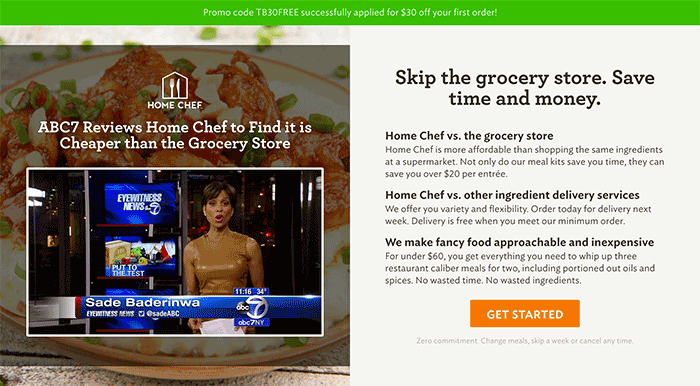 Impressive that Home Chef has upped their mobile game in a more difficult conversion driven environment. Their checkout experience on mobile must be pretty solid. Great article, thanks. Great info. The compilation and commentary is awesome….